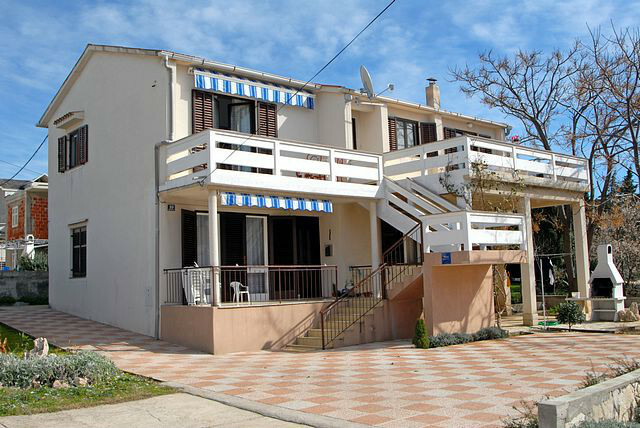 Our apartments are located in the centre of Novalja, 300 meters away from the town beach. We offer you four fully furnished apartments with air-condition and TV/satellite dish. Three apartments can accommodate four persons (2 beds + 2 cots), and one apartment can accommodate three persons (2 beds + 1 cots). In front of the building are parking and a barbecue.